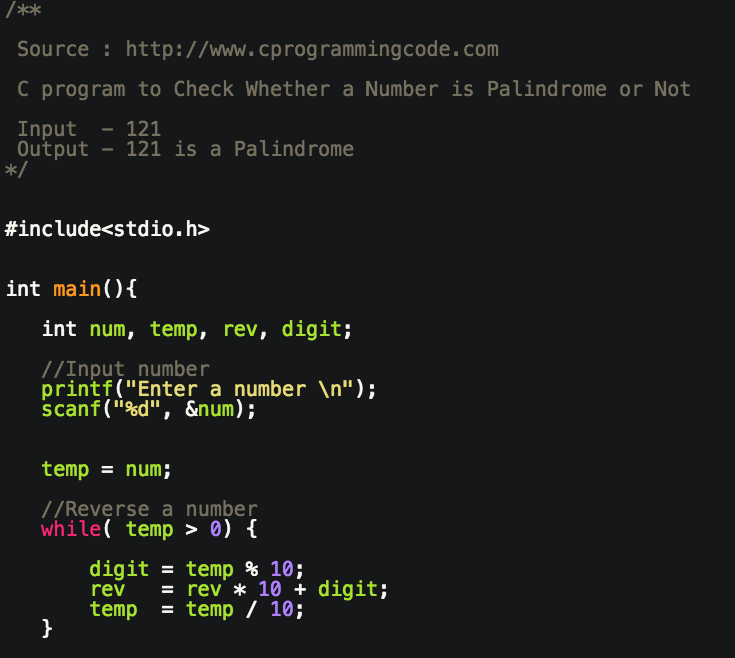 Write a C Program to check whether a number is palindrome or not. 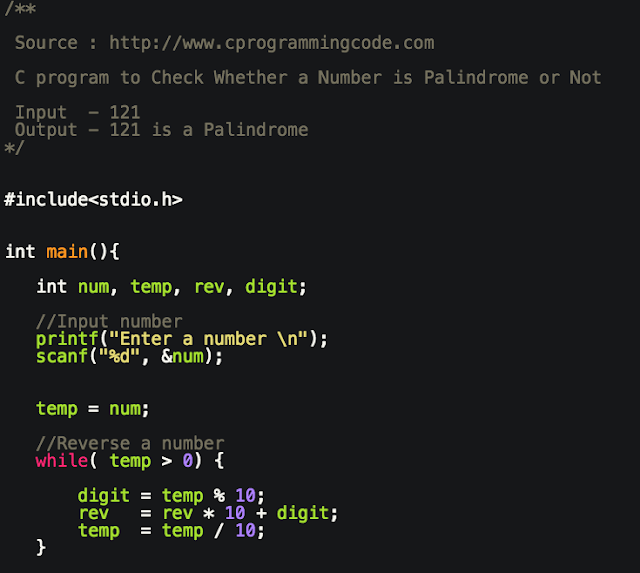 In this program, we take an input number from a user and check whether an input number is palindrome or not. For example - 11, 22, 121, 12321, 16461 etc. How to check whether a number is palindrome or not? In this programming example, first step is to take an input from a user then find the reverse of an input number. If input number and reverse of an input number is same then it's a palindrome number.